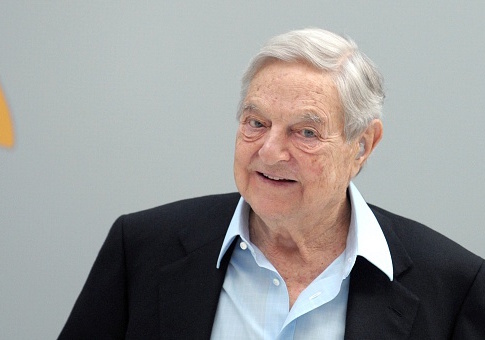 Police defused an explosive device placed in George Soros’ mailbox Monday. Officials responded to the scene in Katonah, New York following a call about a suspicious package. Technicians from the Westchester County Police Department, where Soros has a home, detonated the device. We are conducting an investigation at and around a residence in Bedford, NY. There is no threat to public safety, and we have no further comment at this time. Soros is a billionaire and former hedge fund manager. He now focuses on political and philanthropic projects around the world. He has given prodigiously to organizations working on immigration, criminal justice, electoral politics, education, and human rights. Soros, who has spent billions of dollars for his causes, opposes the role of "big money" in politics. The explosive device was first discovered by a Soros employee at the home, the New York Times reported. After opening the box, the employee took the box to a wooded area and alerted police, according to a police statement. An anonymous law enforcement official told the Times that the FBI and the ATF are now managing the investigation. Soros prominently entered the American political sphere during the 2004 presidential campaign. He spent millions of dollars opposing President George W. Bush, believing he posed an existential threat to democracy. Soros considered Bush’s defeat "a matter of life and death." Prior to the 2016 elections, Soros penned an article urging Americans to "resist the siren song of the likes of Donald Trump and Ted Cruz." Soros has long been the subject of numerous unfounded conspiracy theories and accusations. Most recently, some, including Rep. Matt Gaetz (R., Fla.), accused him of funding the caravan of Latin American migrants headed towards the United States. Both Rush Limbaugh and Glenn Beck called him a "puppetmaster" of the Obama administration. Alex Jones, the host of Infowars, believes Soros "is about to overthrow" the United States. Tomi Lahren congratulated Soros for Colin Kaepernick’s decision to kneel. Later Monday night, news broke that two men had broken into and stolen equipment from the offices of House Majority Leader Kevin McCarthy’s (R., Calif.). Jim Geraghty at National Review condemned violence, irrespective of the perpetrator’s politics. "There is one effective solution to political violence," he wrote. "Treat it like violence– that is, investigate, identify, arrest, prosecute, and incarcerate." This entry was posted in Politics and tagged Bomb, Explosive, George Soros, New York. Bookmark the permalink.